A vibrant and intimate portrait of a writer at work. 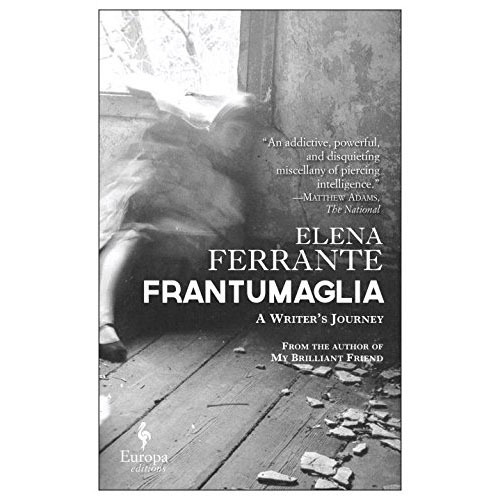 Frantumaglia invites readers into Elena Ferrante's workshop. The bestselling Italian author of My Brilliant Friend opens her desk drawers and offers readers a chance to sort through what they find there. Consisting of over twenty years of letters, essays, reflections, and interviews, it is a unique depiction of an author who embodies a consummate passion for writing. In these pages Ferrante answers many of her readers' questions. She addresses her choice to stand aside and let her books live autonomous lives. She discusses her thoughts and concerns as her novels are being adapted into films. She talks about the challenge of finding concise answers to interview questions. She explains the joys and the struggles of writing, the anguish of composing a story only to discover that it isn't good enough for publication. She contemplates her relationship with psychoanalysis, with the cities she has lived in, with motherhood, with feminism, and with her childhood as a storehouse for memories, impressions, and fantasies.